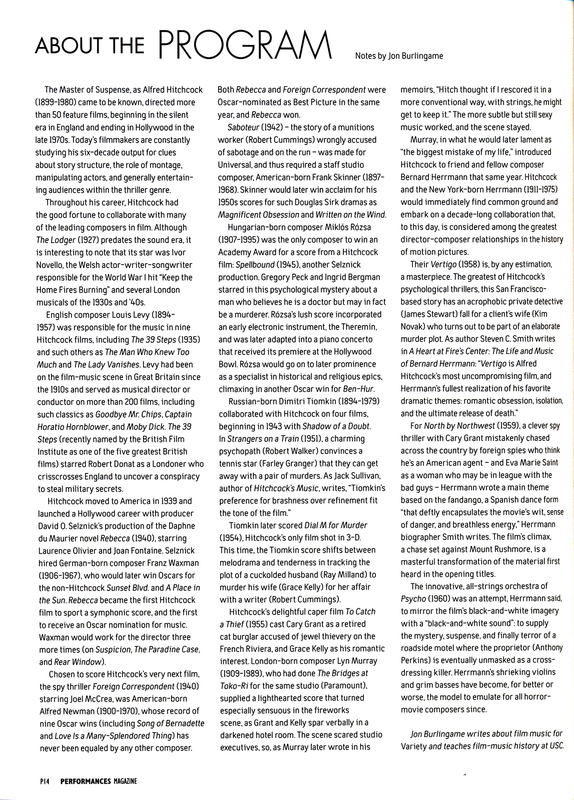 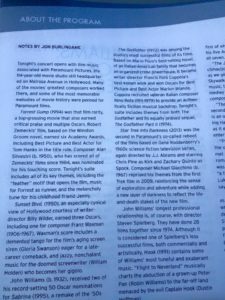 This entry was posted in Composers, Film Music, Interviews, Television Music and tagged Angel Romero, guitar concerto, Hollywood Bowl, Lalo Schifrin, Los Angeles Philharmonic, Los Angeles Times, Mission: Impossible, music for concert performance on July 31, 2016 by Jon Burlingame. 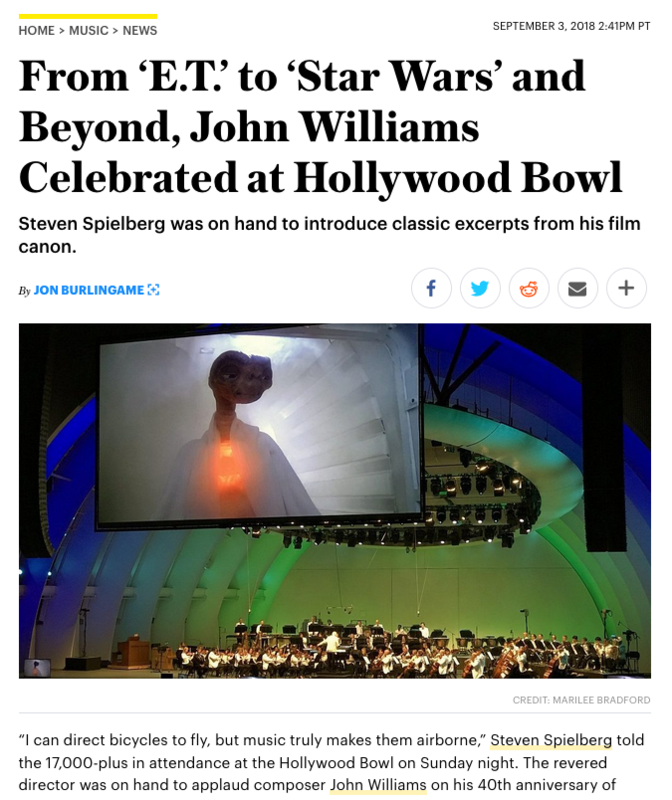 Last weekend marked the first time that the paying public had ever seen Steven Spielberg’s classic E.T., The Extra-Terrestrial with live musical accompaniment. 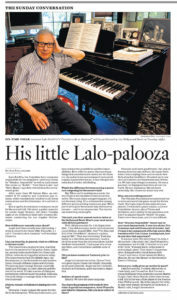 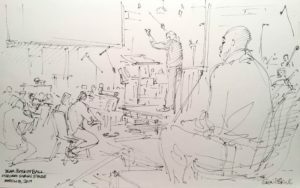 (John Williams conducted a studio orchestra before an invited audience at the Shrine Auditorium in 2002.) 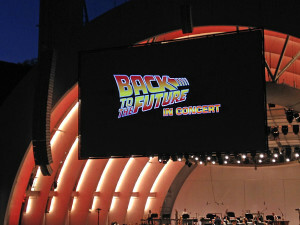 More than 35,000 attended over three nights as David Newman conducted the Los Angeles Philharmonic in Williams’ iconic score at the Hollywood Bowl. I wrote the program notes for the evening, but I felt it was also important to report on the event. 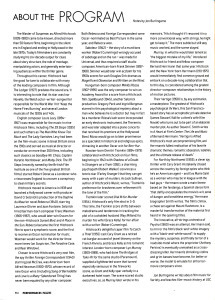 My overview contains details you won’t find anywhere else. 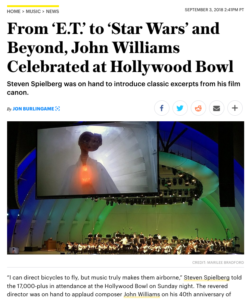 This entry was posted in Composers, Film Music and tagged David Newman, E.T. 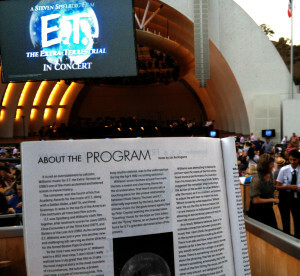 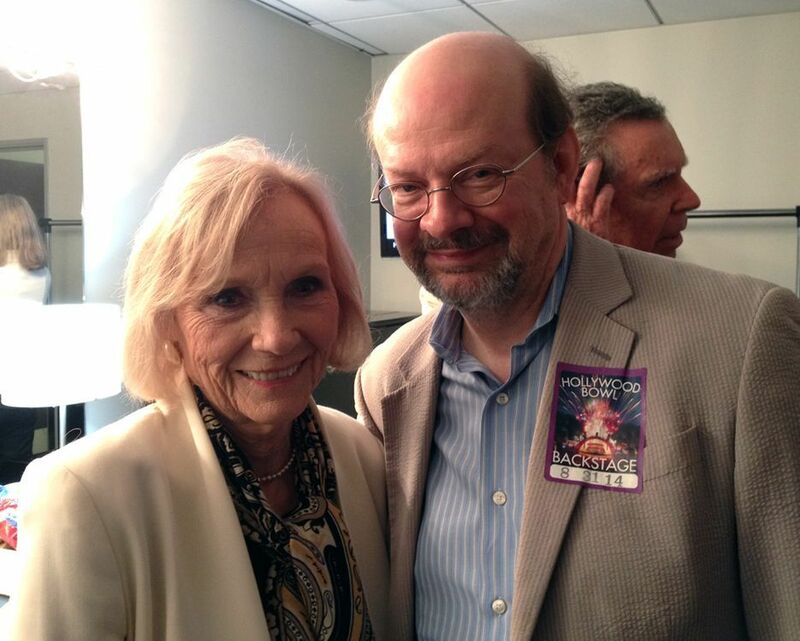 the Extra-Terrestrial, Film Music Society, Hollywood Bowl, John Williams, Los Angeles Philharmonic on September 8, 2015 by Jon Burlingame.